I’m a little disappointed that it took me this long to find out about this band. 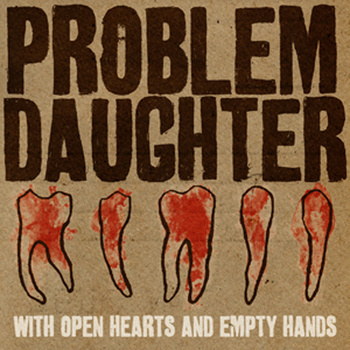 Problem Daughter delivers catchy-as-hell punk rock atop major-key chord progressions with fun upbeat instrumental work. What’s interesting is that the actual words that singer Regan Ashton belts out in songs like “Good Friends” aren’t what initially seize our attention, but, rather, his timbre and comfort with his melodies—he demonstrates his vocal skills with a balance of scratchy and melodic singing. Problem Daughter creates a distinguishable sound from what’s out there with their fluid alternation between guitar-picking, chugs, and bass leads akin to NOFX such as in the opening of “Nothing Personal.” Drummer Trey Bird bolsters these facets with percussion that accentuates the character of the other instruments and blends with each song as a whole. It would be difficult to categorize Problem Daughter into any one punk sub-genre, as they employ the sounds of various punk circle pits in their own pop-punk pogo-party.